I’m a huge fan of smaller SEM/Digital agencies. I’m good friends with several digital advertising professionals who decided to start their own agencies. They are absolutely thriving! I even considered myself a single-client agency of sorts in years past when working on a consulting project here and there, although it has been a long time. In my professional career, I have had the true pleasure of working with a multitude of agencies of all sizes. Over the years, I have grown a true affinity for smaller agencies. You get an unparalleled level of attention and dedication. For a smaller agency, every single client truly matters. I especially respect those smaller agencies that embrace all of the advantages of being smaller while also offering many of the advantages of larger operations (technology, scale, and breadth of experience). Is was not always easy in the past since technology can be expensive for a smaller operation. However, recent technologies such as Acquisio Dashboard Edition open tremendous doors for smaller agencies everywhere, those who may have a lean technology budget and/or want to expand their technology over time as their agency grows. Acquisio is the performance marketing platform of choice for agencies, so Dashboard Edition is a natural fit. When my good friends at Acquisio offered me the honor of guest posting on the blog, I thought I’d do a fun post about small agencies. In particular, I offer suggestions on Starting and Growing Your Small SEM Agency. Make sure to head on over to Acquisio to check it out. Thanks, Acquisio, for the opportunity, you are the best! Whether you outsource all of your SEM efforts or have an in-house team, it’s likely you will work with an SEM agency. I personally view SEM agencies as an extension of my internal team. 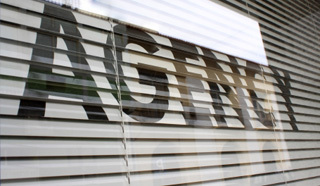 The agency is just like any other employee at your company except they have their own office. World class SEM agencies can add so much value that they quickly pay for themselves. Today I wanted to share a few tips and creative ways to get amazing results from your agency! I’m going to skip the obvious tips such as having regular meetings, fostering a 2-way communication channel, and requesting regular reports. Rather, I’m going to focus on the more creative opportunities that truly flex the power of the agency model. Leverage your agency for true 24/7 operations. SEM is like the stock market, except it’s open 24/7. As humans, we all need sleep and we all need to diversify our time. What’s the best way to get campaign coverage on nights, weekends, and even holidays? Hire and SEM agency and make this a focus for them. Agencies are experts at resource allocation and at leveraging their global/cross-time zone capabilities. Rely on your agency to get into exclusive beta tests on Google AdWords and Bing Ads. Large agencies have amazing relationships with search engines. They bring a ton of business forth, so the search engines are very serious about agency account management. If you are a smaller/mid-sized advertiser, you may find an agency as your key to securing exclusive beta tests. Make sure to divide and conquer. This tip is for those large organizations that have both an in-house team and an agency team. In the world of SEM, it’s super easy to cross wires. Make sure there are clear lines of differentiation. Perhaps the agency owns one search engine and the in-house team owns another. Perhaps the agency owns on facet of campaign management (such as ad copy testing) and the in-house team owns another (such as keyword expansion). Perhaps the agency owns particular campaigns and the in-house team owns another. However you decide to slice it, make sure there is clear coordination. Otherwise, wires could get crossed. Leverage your agency to build advanced technologies. In the world of SEM, it’s all about scale. Scale often requires scripts and programs to be built. It’s not always easy to gather resources in-house, however a super agency will offer to build programs for you. Have this discussion and see if your agency can bring your team technology capacity. See if your SEM agency can also act as your creative agency. This point ties into the last one. Not always is it easy to get quick turnaround on in-house creative projects (such as landing page comps and display creative). However, many SEM agencies have their own creative resources (either in-house or very close by). See if your SEM agency can produce your creative assets. Partner on social media with your SEM agency. Most SEM teams these days are offered the fun opportunity to run paid campaigns on social media networks such as Facebook, Twitter, and LinkedIn. However, running such campaigns is different from Google AdWords and Bing Ads. It requires a different approach and the strategy is evolving rapidly. Make social media a collaborative project with your SEM agency and you are likely to achieve excellent results. Leverage your SEM agency for advanced bidding and campaign management technology. Large agencies often have a performance marketing platform in place, such as Acquisio. When you hire an agency, you not only get marketing expertise but you also often acquire the technology to truly achieve success. See if your in-house team can gain access to the technology platform and collaborate closely around the platform. Save money on competitive intelligence with your SEM agency. Large agencies often have access to tools like Hitwise and Compete. They need to have the necessary data points to drive business forward for their clients. See if your agency has access to such tools/reports and leverage those tools for your internal competitive benchmarking. Leverage your agency for a big picture perspective. Agencies see a lot of stuff. They manage a multitude of clients, search engines, and channels. Leverage your agency to truly understand your industry (and related industries) from an online marketing perspective. See if your agency can help out with SEO. At many companies, the online marketing team is responsible for both SEM and SEO. These two channels can be quite different, but they truly go hand-in-hand. See if your SEM agency has SEO experience. If yes, the relationship will truly pay extra dividends. See if your agency can open door in terms of relationships. Agencies mean big business and have extensive relationships across the industry. Leverage your agency to make connections. One quick tip: See if your agency would be open to holding a client summit where their clients get together and share best practices. Another tip: See if your agency can help build deep connections within search engines such as Google. As you can see, SEM agencies provide a multitude of benefits above and beyond standard campaign management. I hope these tips help you get the most from your agency. If you don’t have an agency, I hope these tips provide some extra points to help you secure the necessary budget to make the hire. Do you work with a PPC agency? How about multiple agencies? In my opinion, managing an SEM agency is just like managing an employee on your team. To get the most out of your agency, you need to be a great agency manager. Today, I’m thrilled to share some of my favorite tips for getting the most out of your agency. When you’re managing a PPC agency, it’s all about frequent touch points. There’s nothing like regular calls. I try to have weekly calls and sometimes bi-weekly calls (when the queue is super busy). Make sure to follow an agenda during your calls. Stick to the topic at hand. Cover results/numbers, successes, challenges, and projects in the queue. Calls with your agency are just like 1-on-1s you hold with in-house employees. If you work with a local agency, try to have in-person meetings too. Perhaps you could meet for lunch and then go back to the office after for a meeting. I’m a firm believer that SEM is a team sport. You cannot have a solid team without regular communication and touch points. Leverage calls and in-person meetings to manage your agency as part of your team. The results will be so much better as a result of your efforts! I typically get the best results as a manager when I clearly understand the queue of work on each employee’s plate. I’m talking about the projects, the estimated upside, the ETAs, and the current status updates. Why? When I understand the queue of work, I can contribute projects/ideas, provide assistance, manage expectations upward, and make sure wires do not cross. I’m a huge fan of collaborative goal setting. The best goal lists are created as a team effort between manager, employee, and team. I highly recommend leveraging this philosophy when managing your agency. More work will get done, everyone will be more empowered, and the results will be awesome! I absolutely love working with SEM agencies because they have an amazing perspective. They work with many clients across many verticals. All they do is online marketing. SEM agencies can bring substantial value to the table in terms of cutting edge ideas. 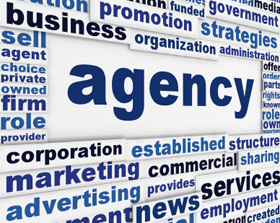 Make sure to leverage your agency for their expertise. Regularly ask them questions such as, “What are your other clients seeing?” Of course, you don’t need (nor want) specifics. You want high level guidance around the latest and greatest trends. 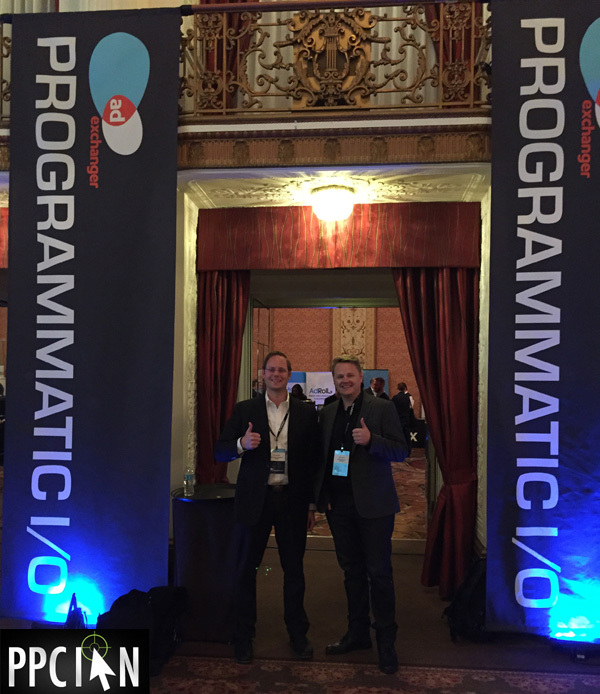 So there you have it: A few great tips for getting the most out of your PPC agency. Looking for a PPC agency? I highly recommend reaching out to my friends over at PPC Associates and Rocket Clicks. 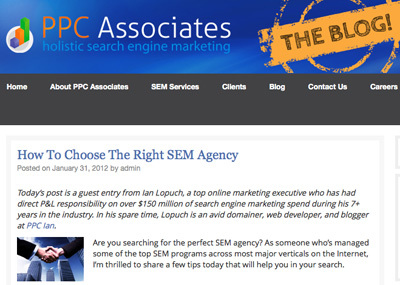 Today, I wrote a guest blog post on the PPC Associates Blog titled How To Choose The Right SEM Agency. Please check it out and let me know what you think! It’s always exciting to do guest posts because it’s a great opportunity to get in front of new audiences. You may recall that I did a Guest Post on Acquisio’s Blog back in December. Today marks my first guest post of 2012, the first of many. I highly recommend heading on over to the PPC Associates Blog and checking out both my guest post and their other amazing posts. Thanks PPC Associates for the great opportunity! I’m excited today to share an amazing free eBook with you, Acquisio’s Choosing a PPC Management Pricing Model. I’m really excited about this eBook and highly recommend it because it really got me thinking. In today’s PPC landscape, it’s imperative to understand agency pricing models. Whether you’re climbing the corporate ladder, looking to hire an agency, or even looking to start your own agency, this eBook will prove invaluable. Acquisio’s Choosing a PPC Management Pricing Model discusses two types of agency pricing models, cost-based and performance-based models. Each of these models can actually get quite complex, there are 5 different types of cost-based agency models and 4 different types of performance-based agency models discussed in the eBook. The eBook covers some really interesting topics including: the agency perspective, the advertiser perspective, and the pros and cons of various models. I’m here to say that it’s more important than ever to understand SEM agency pricing models. Why? First and foremost, the agency career path is a great one. (You can learn all about the agency career path in my post about three different PPC career paths.) Second, it makes a lot of sense to hire an SEM agency, even if you have an in-house team. 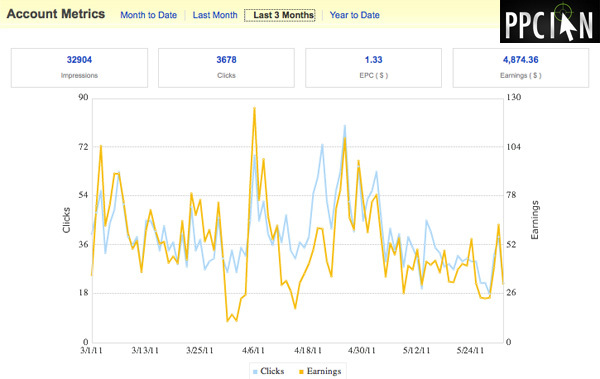 It’s all about leverage in paid search and SEM agencies provide just that! 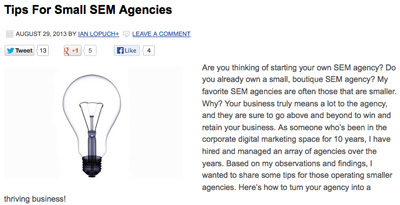 Third, SEM agencies are a great business and you may even want to consider starting one yourself. This whitepaper will provide great information to start modeling out your own SEM agency business. I wanted to close out today’s post by giving a quick intro to Acquisio, the company behind this awesome free eBook. What is Acquisio all about? They are the SEM platform of choice for SEM agencies. 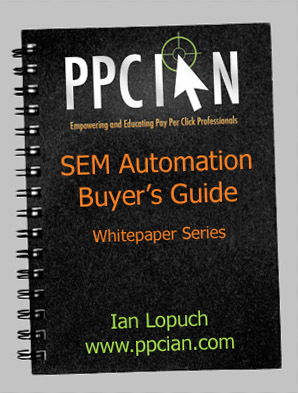 If you’ve been reading PPC Ian for a while, you know I’m a huge fan of SEM automation. I even wrote my own 12 page SEM automation buyer’s guide. When you’re an agency, automation is more important than in any other situation. It’s simply not possible to scale and give all your clients the level of service they require without the right platform. That’s exactly where Acquisio steps in. Want to learn more about Acquisio? 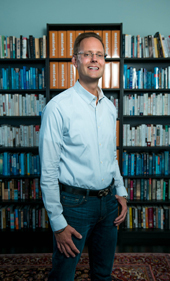 I highly recommend checking out my exclusive interview with Marc Poirier, CMO and co-founder of Acquisio. When you’re done with that, you’ll also want to check out Acquisio’s display advertising eBook. Last, but definitely not least, I can’t say enough about Acquisio’s new eBook: Choosing a PPC Management Pricing Model. Hi, I'm Ian Lopuch, also known as PPC Ian. 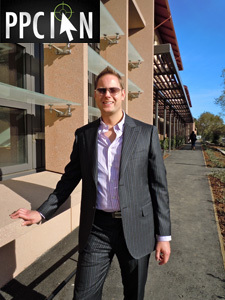 I'm a Silicon Valley business executive, marketing executive, and general manager, with deep roots in technology. I’m also an investor with a lifelong obsession for cash flow. Whether I’m acquiring and developing commercial real estate properties, leading complex digital marketing programs with $30 MM+ annual budgets, integrating cutting-edge technologies, or hiring and coaching large teams, I take charge of all with the mindset of an investor. Copyright © 2009 through 2019 PPCIan.com (An IJL Productions LLC Site). All Rights Reserved.